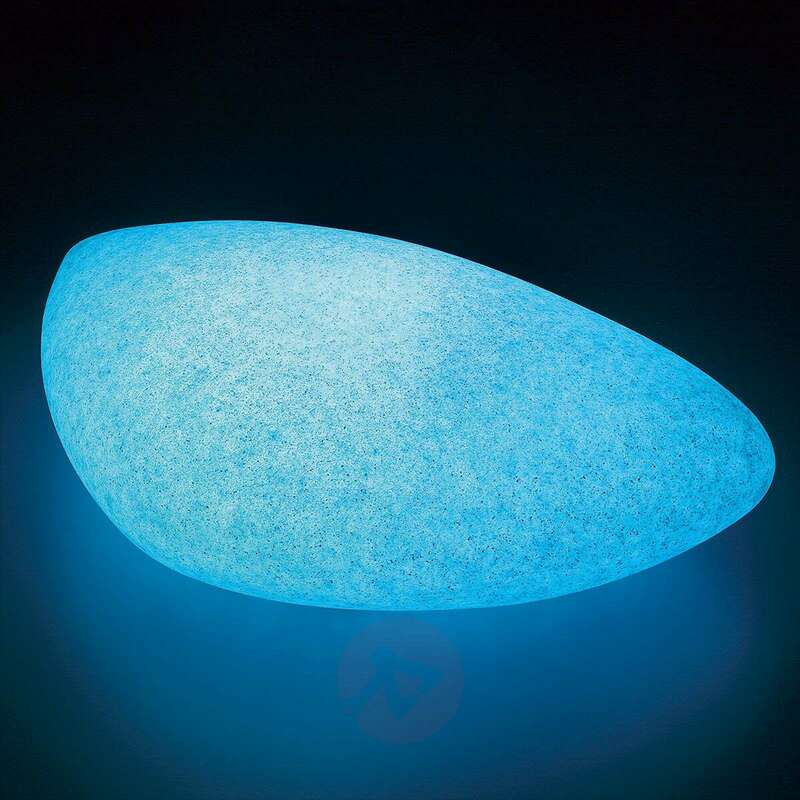 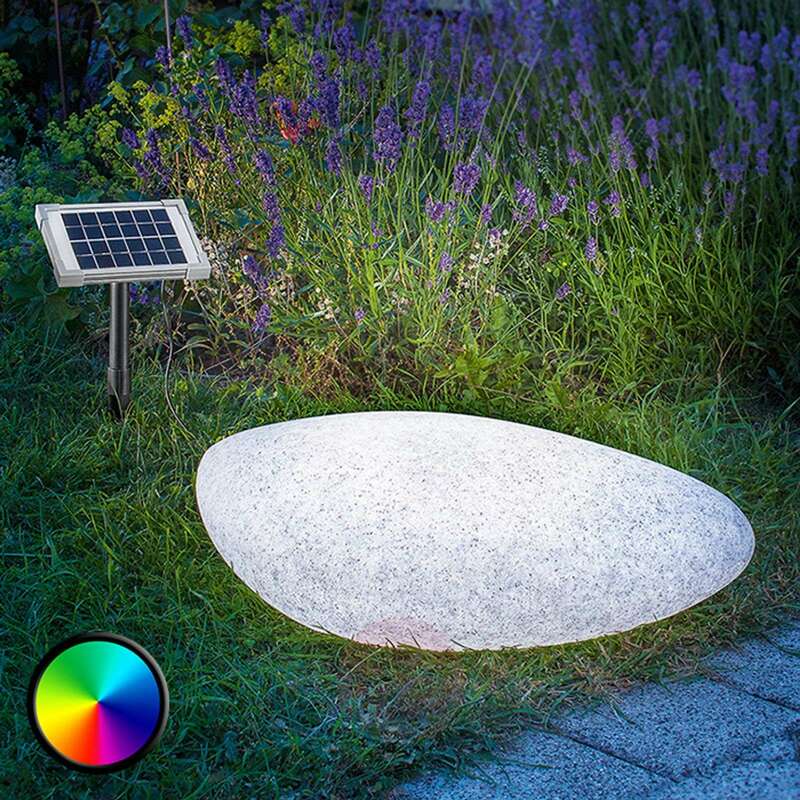 The decorative Stone 40 with solar-powered LED lighting seems like a real stone during the day, but it shines even brighter at night. Made of robust plastic, it can be used throughout the entire year, because thanks to the powerful combination of 2 WP solar modules and the installed Li-Ion battery pack, it also works during the winter months. The solar module charges the battery within 6 hours of sunlight; the Stone 40 can light up for up to 20 hours with a full battery. Incl. 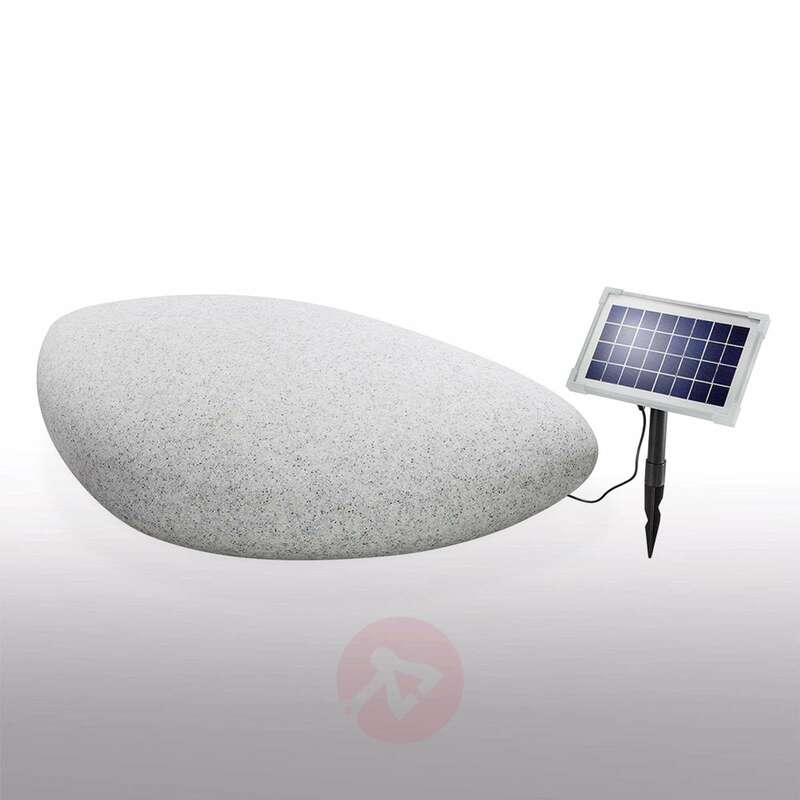 ground stake with ball joint for optimal arrangement facing the sun and 5 m cable.